Hospitals are lobbying Capitol Hill lawmakers this week to push the CMS to ax its site-neutral payment proposals that would cut Medicare's evaluation-and-management rates for off-campus hospital facilities to the rate independent doctors' offices receive. Now that the comment period on the proposed 2019 outpatient prospective payment system, or OPPS, rule has officially closed, the American Hospital Association is gathering lawmakers' signatures to add to a letter by Sens. Rob Portman (R-Ohio) and Debbie Stabenow (D-Mich.). The letter asks the agency to reverse course on its site-neutral policy in the proposed rule. The 60% rate cut proposed in the OPPS rule would roughly equal a $760 million hit to hospitals in 2019. 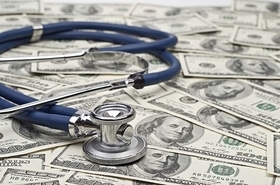 The CMS estimates that it was paying approximately $75 to $85 more on average for the same service in hospital outpatient settings compared to physician offices. Beneficiaries were responsible for 20% of that increased cost. If the proposal is finalized, the AHA may sue the agency and allege it exceeded its authority and strayed from congressional intent. "Our comment letter lays out clearly that the CMS was aggressive in interpreting its authority," AHA Vice President Erik Rasmussen told Modern Healthcare, noting that the trade group's next course of action depends on the final rule. "Any time the agency takes more authority than it was given by Congress, it opens them up to legal action." The Bipartisan Budget Act of 2015 says that hospitals must bill Medicare at 40% of the OPPS rate for care provided in off-campus facilities in operation after Nov. 2, 2015, unless it was emergency care. A provision in the 2016 21st Century Cures Act added another exemption for facilities that were already under construction before that date. But the site-neutral policy doesn't recognize that different patient types receive care from physician offices and hospitals, according to Dr. Bruce Siegel, president and CEO of America's Essential Hospitals. "These assumptions could not be further from the truth, as hospital (provider-based departments) treat more complex patients and provide more specialized services than physician offices," Siegel said in a comment letter. But physicians praised the proposal and said it could stop hospitals from buying medical groups and turning independent doctors into employees. "The additional revenue allows hospitals to lure doctors into employment by paying them more than they can earn under the physician fee schedule," Marni Jameson Carey, executive director of the Association of Independent Doctors, a not-for-profit trade association that represents more than 1,000 doctors in 33 states, said in a comment letter. Two executives of not-for-profit hospitals joined AHA's congressional briefing on Tuesday and told Capitol Hill staffers that the proposed policy would pose a significant hit to their margins and limit care options for local Medicaid and Medicare patients. Eric Lewis, CEO of Olympic Medical Center in Port Angeles, Wash., predicts seven of his system's outpatient facilities would lose $3.4 million from the policy in 2019 and $47 million over the next decade. His system has lost money two out of the last four years, he said. "Every time Medicare is cut, one hair turns gray," Lewis said. "This is the tipping point." He added that he doesn't believe independent physicians can step into the gap to take care of the patients who use the off-campus facilities because they can't afford the heavy Medicare and Medicaid and dual-eligible mix. "These patients will not have care," Lewis said. "To me this is one of the most concerning policies I've ever heard proposed." AHA also released a commissioned study of the patient demographics for hospital outpatient facilities and how they compare with the demographic seen by free-standing physicians' offices. The analysis by KNG Health Consulting said that the Medicare patients seeking care at off-campus hospital clinics over independent doctors' offices are 2.4 times more likely to be under 65—which would mean they have complicated conditions like renal disease that would qualify them for early Medicare enrollment. They are 2.3 times more likely to be eligible for both Medicaid and Medicare and on average likely to be slightly lower income. The proposed rule is part of the CMS' push to bring equilibrium to Medicare payments for the same services no matter the setting. The agency's breakdown of the $760 million that hospitals would lose translates into $610 million in Medicare savings and $150 million in patient savings through lower co-payments. Hospitals argue that their costs and regulatory and administrative burdens are higher than those of independent physicians.